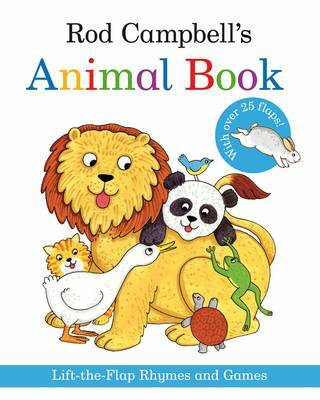 Rod Campbell's Animal Book is bursting with rhymes and games to share with your toddler. This fun book of rhymes features both classic and original nursery rhymes from Rod Campbell, author of Dear Zoo. With lots of animal friends, and flaps to lift on every page, there's so much to discover! Sturdy pages, appealing illustrations and an easy-to-read text make this a must-have book for every nursery.